Leading experts in the exploding field of social media will discuss its impact and how it is transforming traditional communication fields during the Social Media and Communication Symposium hosted Dec. 8 by Rochester Institute of Technology. The conference, which will be held 8 a.m.–4 p.m. in RIT’s Ingle Auditorium, will include presentations and panels on e-marketing, Internet branding, new-media journalism and the impact of Twitter on marketing and communications. 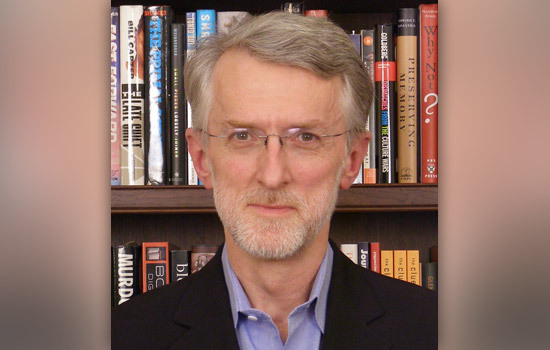 It also will feature a keynote address by noted new-media expert and author Jeff Jarvis, associate professor of journalism at the City University of New York, and talks by Deidre Breakenridge, president of Mango Creative Juice, and Joshua Benton, director of the Nieman Journalism Lab at Harvard University. Jarvis’ presentation is made possible in part by RIT’s Lab for Social Computing and the William A. Kern Endowed Professorship. He is the author of What Would Google Do? and has been featured on CNN, MSNBC and CBC discussing the impact of social media on society. He currently directs the City University of New York’s interactive journalism program and its new business models for news project. Previously, he served as founding editor of Entertainment Weekly and Sunday editor and associate publisher of New York Daily News. Additional sponsors of the symposium include RIT’s Department of Communication, College of Liberal Arts, E. Philip Saunders College of Business, the Office of Student Affairs and the School of Print Media’s Paul and Louise Miller Endowed Professorship. To register, go to www.rit.edu/smacs. Those interested can follow the event and interact with the organizers on Twitter, @SMACS2010.